This Cooper's Hawk was enjoying the last of its prey. 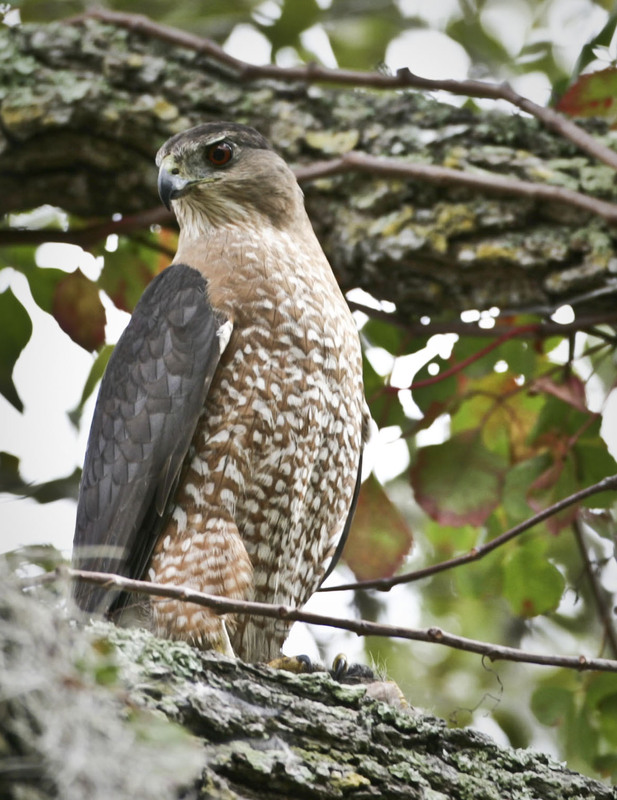 I happened to see to this hawk catch a squirrel in my yard yesterday. I'm not sure if the hawk caught another squirrel today, or if it's eating leftovers from yesterday. 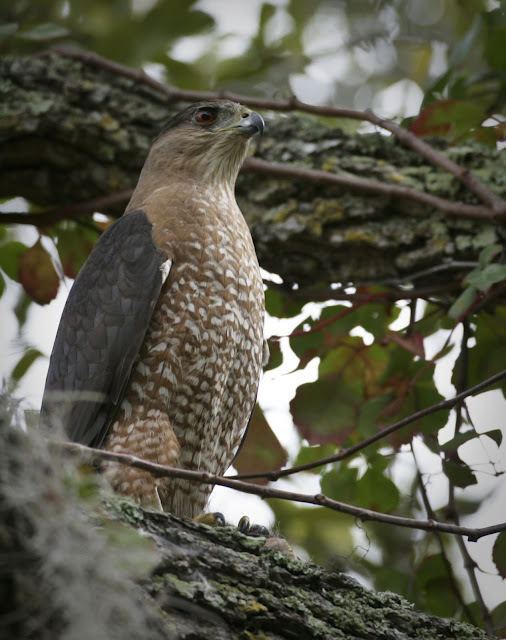 A Cooper's Hawk typically feeds on small rodents/animals and other birds. A Cooper's Hawk is very similar in appearance to a Sharp-shinned Hawk. 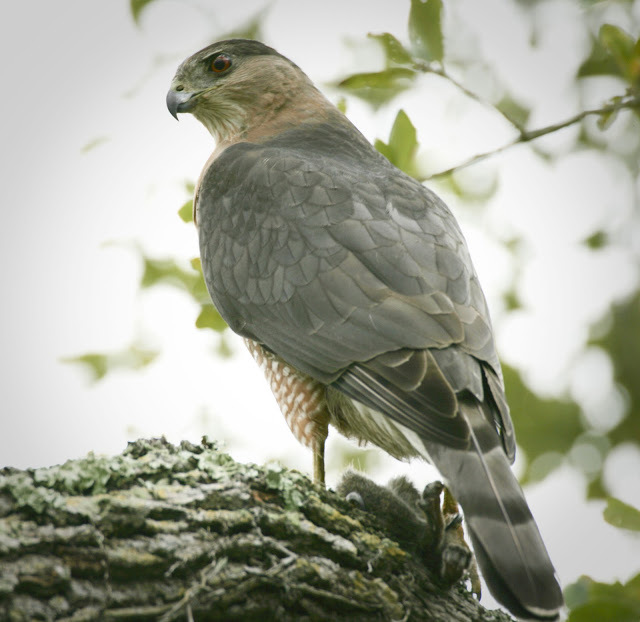 Some distinguishing characteristics include the Cooper's Hawk larger size, longer, more rounded tail, and larger head. 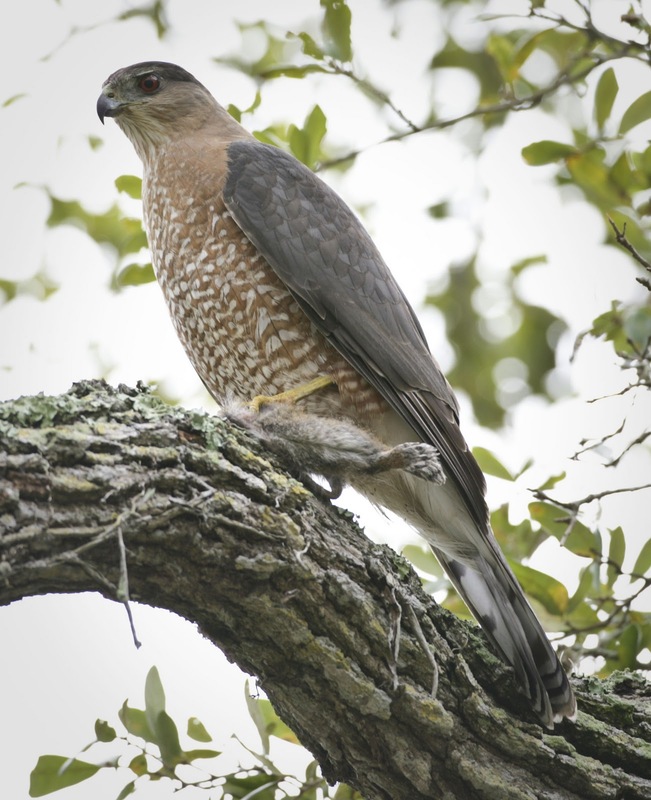 A Sharp-shinned Hawk eats almost exclusively small birds where a Cooper's Hawk's diet can include small animals. Marvelous images even without that wonderful bonus of the raptor with prey. Great stuff, thanks for sharing. Excellent blog. I love the fierce stare of the Coopers.